If you’re living in Hong Kong, Singapore, or Malaysia, good news – you can now purchase products from the Nintendo X LeSportsac travel collection earlier than the rest of the world at LeSportsac retail stores. Products available for purchase in the lineup include Game Boy inspired pouches, Super Mario Odyssey themed travel bags, and Piranha Plant patterned wallets. A full breakdown on the collection can be found here. As part of a huge marketing campaign to promote the travel collection, here’s Mario walking around with a Super Mario LeSportsac bag in Hong Kong. 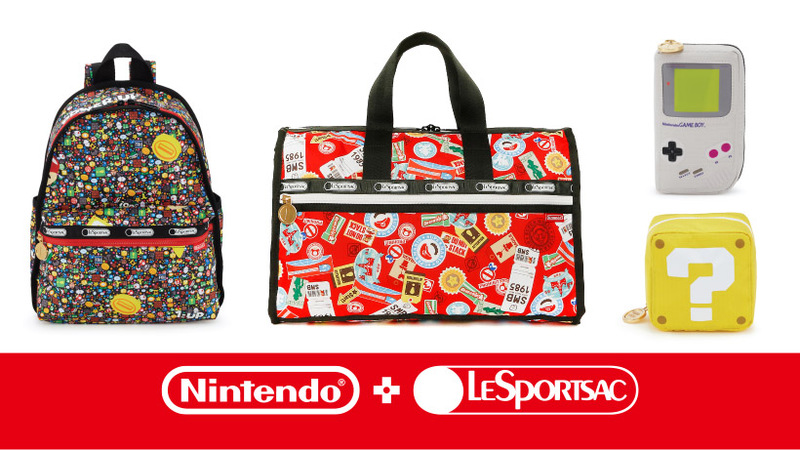 The Nintendo X LeSportsac collection first launched in Japan on July 19, 2017, and is planned to arrive in the United States and other countries this Fall. Thanks to Switch Singapore for the tip.